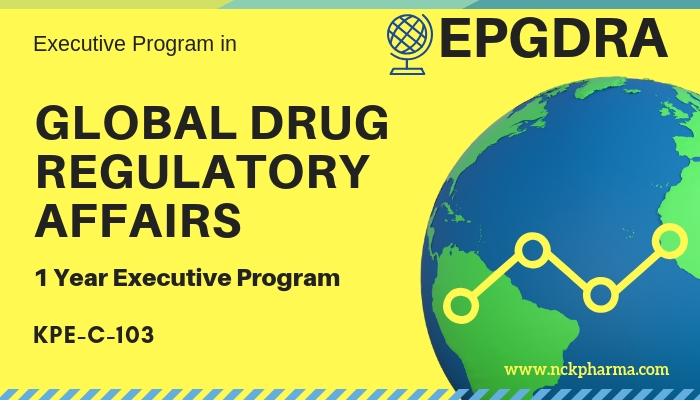 Executive Program in Drug Regulatory Affairs courses are conceptualized with vision to create effective Regulatory Affairs Manager for Pharma Industry. This course gives practical knowledge of the functionalities of Regulatory Manager with practical exposure. Our Registerants are in Lipoxen (UK), Orchid, Sanofi-Aventis, Astra-Zeneca, Hospira, Ranbaxy, Julphar, J&J-Ethicon, Pfizer, DRL, MSD, Medo Pharma, Nestle, Ind-Swift, Panacea, Bal Pharma, Aristo, Shaigan Pharmaceuticals, Reliance Lifesciences, Quality Pharma Pvt Ltd, Cipla, Ipca, Sherya Lifesciences, Promed, Torrent Pharmaceuticals, Zydus Candila, Himalaya Herbal Healthcare, Bangalore Pharmaceutical and Research laboratories, Teru Technomed, Indocoar Pharma, Fortis Hospitals, VRPL Healthcare, Medreich, Hospira, Indospectrum, Winatac Limited, Faveo Pharmaceuticals, Enzem, Leo, Accenture, Mylan, and many more companies across the pharma industry. 1. Printable study modules [PDFs] provided to all course participants. There will be total 28 study modules. Refer syllabus copy to view the details. 2. Access the e-lectures, case studies, self assessment modules and practical sessions through personalized webpage. B.Pharma/D.Pharma/ B.Sc/ Any graduates or Post Graduates or Phd holder, who want to broaden the career skill in drug regulatory affairs can pursue the course. Minimum 2 years experience required for admission. Lecture 25Strategic Discussion: PreIND, EOP1, EOP2 - What to expect !